The good old hot beverage, tea, can not just be a lifesaver in winters but also greatly help in curing the common ailments like nausea, headache, bloating and many others. Infused with a fruity zest, herbal teas are antioxidant-rich healthy alternatives that can help you in keeping up with various daily nutrients and vitamins. We have today compiled a list of 10 best herbal teas to give your seasonal transition a healthy boost. 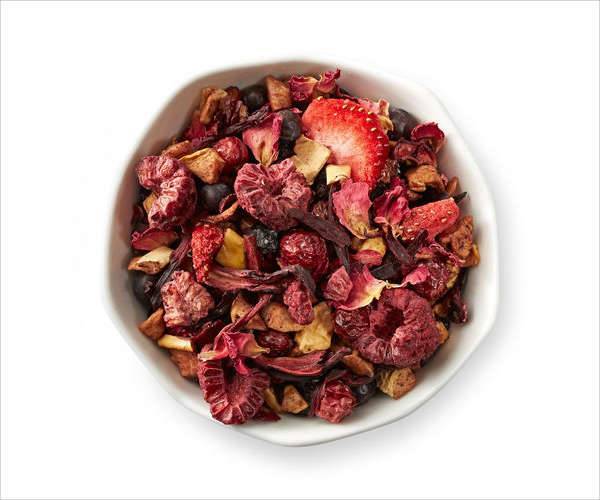 This Raspberry Balsamico herbal tea from Teavana is one tasty choice for a mid day treat. The tea is made from Balsamic vinegar from Modena. If you prefer cool over hot, the tea tastes equally good either ways. 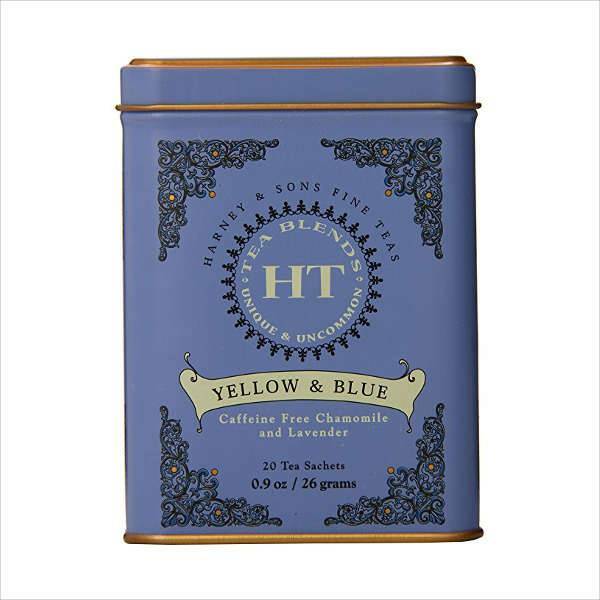 The calming blend of chamomile, lavender, and royal blue cornflowers from Harney and Sons makes it perfect to have on an early evening or after a sumptuous meal while lying on the bed. This stackable set of teas is made to be consumed at short intervals throughout the whole day to promote healthy detoxification. The morning mixture combines fresh cucumber, dandelion leaves, spearmint and lemon verbena for giving a refreshing morning boost to your detox. 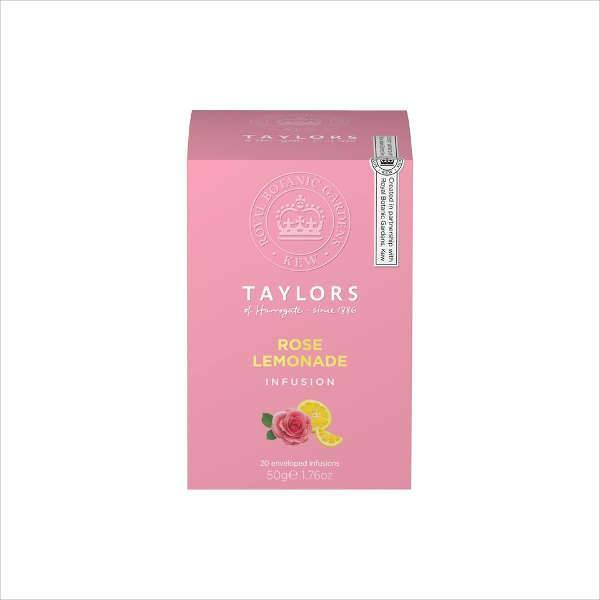 This Taylor’s herbal tea is made from a mix of hibiscus, rosehip and apple pieces blended with sweet blackberry leaves, lemongrass, and organic rose petals. The flavor is perfect and royal in its taste justifying a brilliant combination of fruit and herbs. Pukka’s blackcurrant tea is filled with juicy black currants and sweet beetroot. The tea holds a special detoxifying tonic for the skin and also helps in improving blood circulation. Each teabag in the box is individually wrapped to protect the authenticity of the essential oil from the light and moisture. 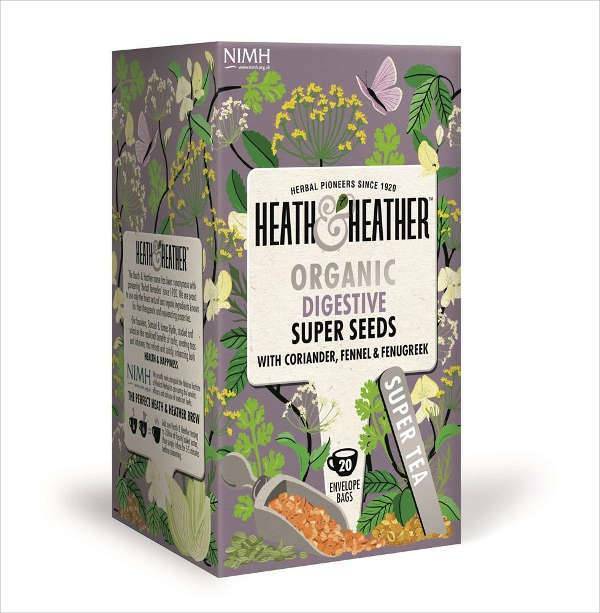 Health & Heather’s organic digestive super seeds tea consist of a 100 percent natural fennel and fenugreek blend. 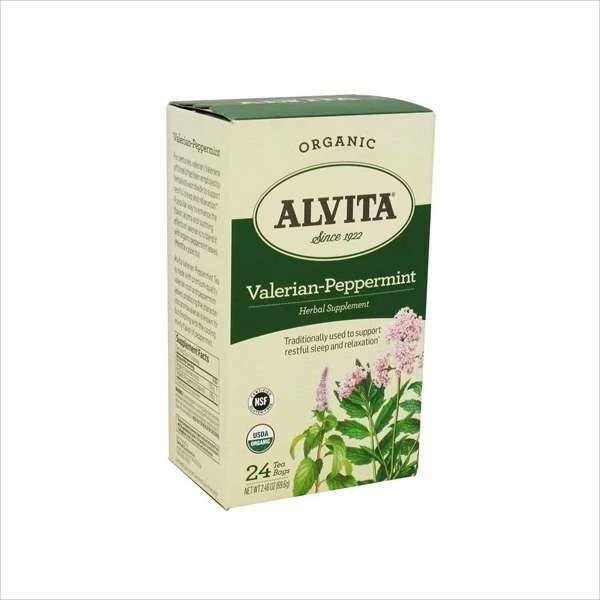 The tea helps to boost digestion and is highly recommended for those who enjoy the benefits of peppermint and are looking for something equally useful to try. 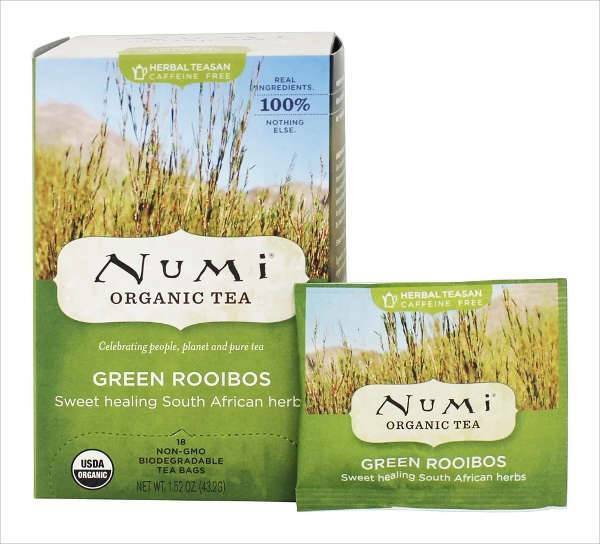 Originally grown in South Africa, green rooibos tea is very high in antioxidants and can even help to fight cancer and improve the vascular health by enhancing circulation. The tea is also known to reduce cholesterol and blood pressure. Valerian is one of the best tea to promote good sleep and lower down the stress levels. The tea can also help in curing the neurological disorder, gastrointestinal problems, ADHD, and even seizures. It is recommended to drink the tea before bedtime. 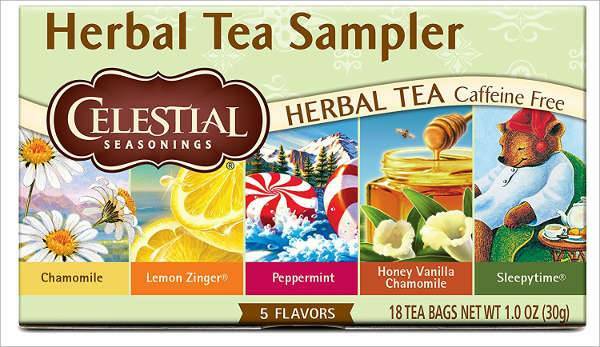 Celestial seasoning is a variety pack that comes with the best blends. Along with the relaxing taste, the tea box features a sleepy bear on the label which is perfect to get one in the mood for some cozy snuggling. 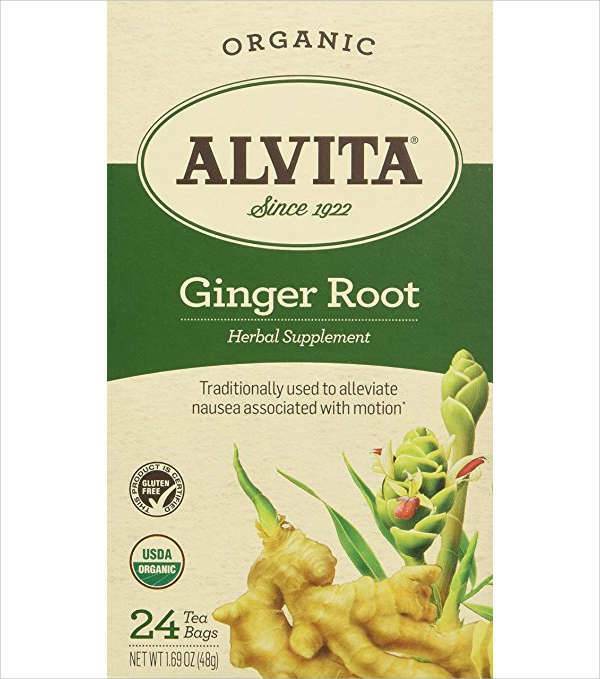 Ginger is widely known to relieve one from nausea, motion sickness, and other tummy troubles, and this ginger root herbal tea is perfect to aid digestion. 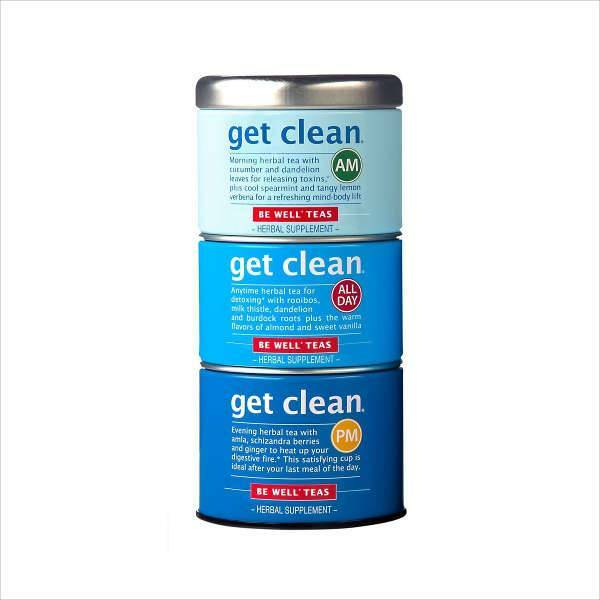 Organic and void of artificial sweeteners, you can be sure that you are consuming 100% natural. Give your daily life a dose of healthy goodness with these easy to prepare herbal teas. Also, for a healthy start to the year, you can check our posts on Fitness Products.